Back in the early 2000s, Ninja Tune’s heyday, the unlikely duo of label mates BluRum13 (One Self) and Luke Vibert (Wagon Christ, Plug, Kerrier District, ...) quietly formed across genres and geography. Their first album, “Smell the Urgency,” was a playfully intellectual romp through the minds of two geniuses of rap and production respectfully. The album was shelved for reasons unknown, only to be resurrected by fans 13 years later and released on limited edition vinyl by Lille’s Besides Records. The re-release prompted a reunion, and just one year later, BLUKE returns with a second album even more revelatory than the first. True to both artists’ extensive experience and discography, “Sense” showcases the depth of talent unique to each. The album is replete with expert sample-stitching, like the vintage video game sounds on Omnipotent or the whistling banjo duet on Happy Daze. From the chunky 70s bass lines of Gimme a Sign, to the rapid-fire scratches and litanies of Something Fresh (ft. DJ SPS), to the lazy quirk of Turninitup, BluRum and Vibert trap and entrance our senses, raising and respecting our consciousness along the way. 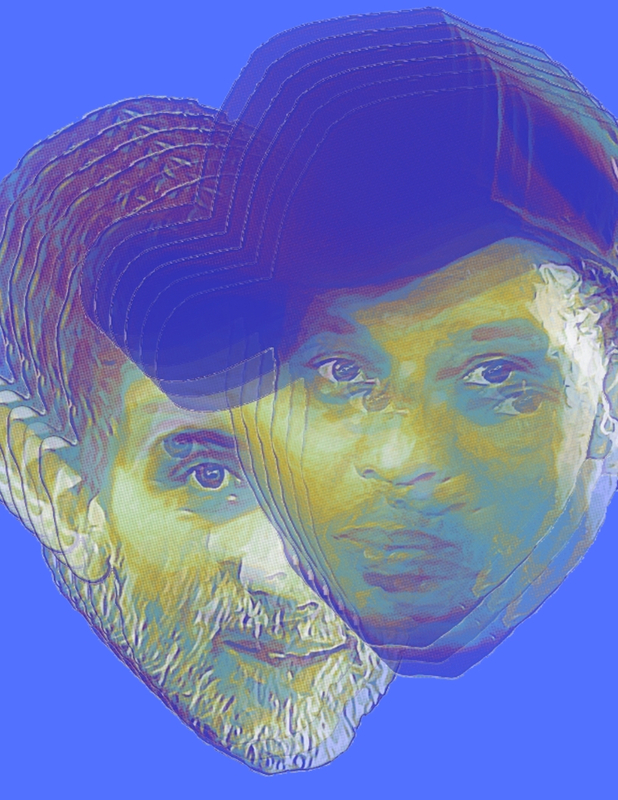 Tempos rise and fall with precision, Blu flexes hard on shiners like Grind, with Vibert’s expert production laying a soaring foundation for Blu’s lightning-yet-laidback rhymes that you have to listen to again and again to fully extract their multilayered meaning. Most wonderfully, Vibert sets his whimsical side free again for “Sense”, giving BluRum the room to write Couldabin, a love song for lovers of artists, and even leave us with the sweet summer banger Slide By. 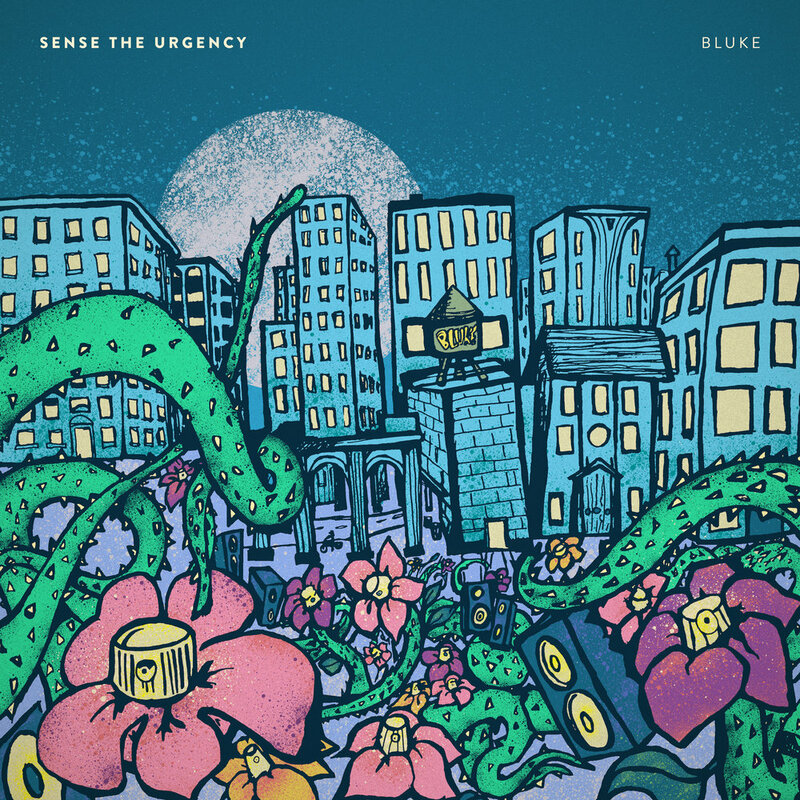 As per the imperative of Machine Gums, with “Sense the Urgency” BLUKE leaves a legacy unmatched in hip hop to-date. So open your third eye, and raise your spirit in celebration of the 360 resurrection of real beats and rhymes.